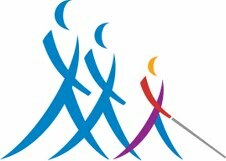 The Utah Parents of Blind Children (UPBC) is a state wide group of parents dedicated to the education and advancement of children with visual impairments - whether blind, partially sighted or having multiple disabilities including visual impairment. The purpose of the organization is to create a climate of opportunity for blind children in home, school and society; to provide information and support to parents of blind children; to facilitate the sharing of experiences and concerns among parents of blind children; to develop and expand resources available to parents and their blind children; to help parents of blind children gain understanding and perspective through partnership and contact with blind adults; and to function as an integral part of the National Federation of the Blind and the National Organization of Parents of Blind Children in their ongoing efforts to eliminate discrimination and prejudice against the blind and to achieve for the blind security, equality and opportunity. The membership is open to parents of blind children, educators of blind children and others interested in promoting the purposes of this organization. Please join us for a FREE all ages activity for the whole family. The fun will start on July 18, 2015 at 6:00 p.m.
We will be serving a BBQ dinner at the park. 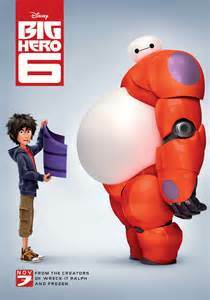 We will be showing Big Hero 6 in descriptive video at dusk. We would like to thank Chantel Alberhasky for her very informative presentation at our annual UPBC meeting during the convention. She spoke on the difference between an IEP and a 504 plan. I know that I learned some valuable information during her presentation. If any of you need more information or have questions about the difference between a 504 plan and an IEP please contact us. Before I share the results of the elections, we would like to thank our UPBC board members that did not seek re-election to the board this year. Thank you Julie Ledford for your wonderful service to the UPBC board as president over the last 4 years. You have made a difference in the lives of many families. Your dedication to the UPBC is what brought many of us to the UPBC. We would also like to thank Andrea Campbell for all of your hard work while serving as secretary. We hope that you will remain friends to the UPBC in the future. This years elections brought many changes to the board. The changes are as follows. We are all very anxious to get to know your families. We are working hard to plan fun activities for the entire family. We hope that everyone will be able to join us. If you have an idea for an activity, please contact us via email or face book. National Federation of the Blind of Utah's 2015 convention. Have you ever wondered what the difference is between a 504 plan and an IEP? Has your child's TVI ever suggested removing your child from an IEP and putting them on a 504 plan? Our guest speaker this year, Chantel Alberhasky, will be speaking about the difference between a 504 plan and an IEP and what that means for your child. Deja Powell will also be speaking about a dance class that she will be offering for blind and visually impaired kids. The annual meeting of the UPBC will be on Saturday morning, May 2nd at 10:00 a.m.
Saturday afternoon at the convention will be filled with great information concerning blind children. Please come for our meeting and stay for the day. Why Are You Trying To Make My Child Blind? Blog Music. You can click the pause button if reading with a screen reader.